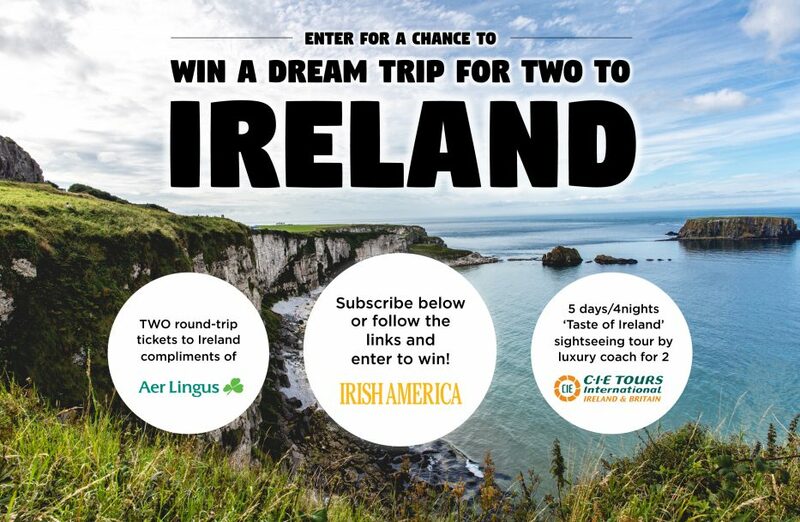 Subscribe now to get 6 bi-monthly editions of Irish America magazine for just $21.95 plus you will be automatically entered to win a Dream Trip for Two to Ireland! How did you hear about the sweepstakes? NO PURCHASE NECESSARY. To enter without subscribing to Irish America, or if you are already a subscriber, click here. To pay with your credit card, press the ‘Subscribe & Enter’ button and select ‘Debit or Credit Card’.